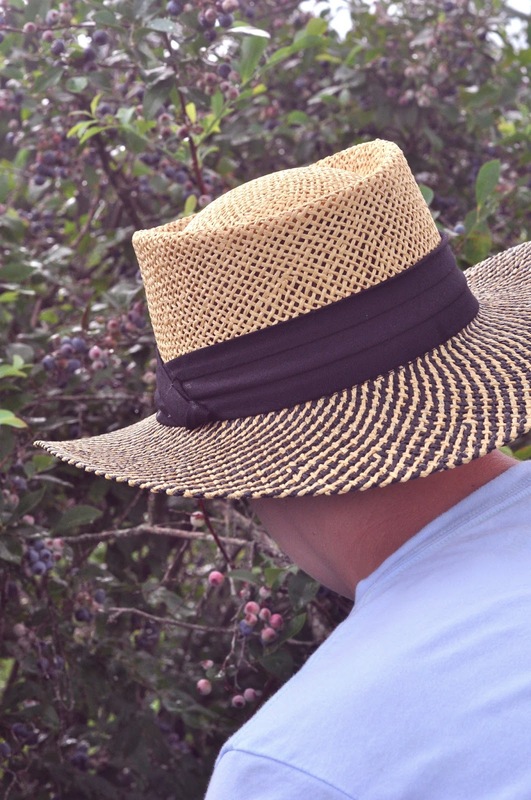 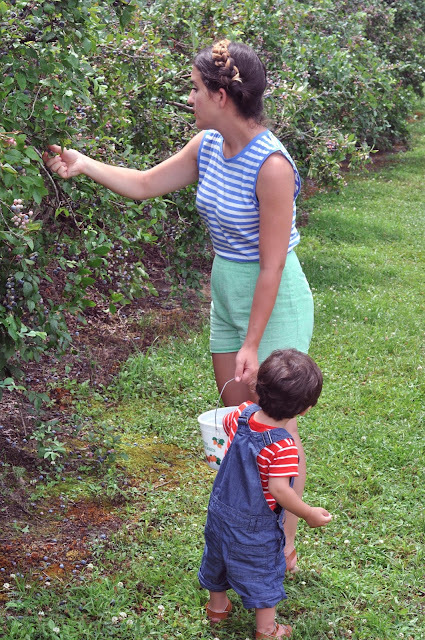 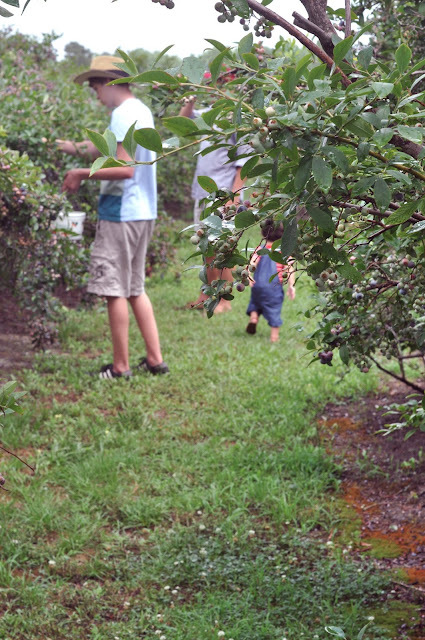 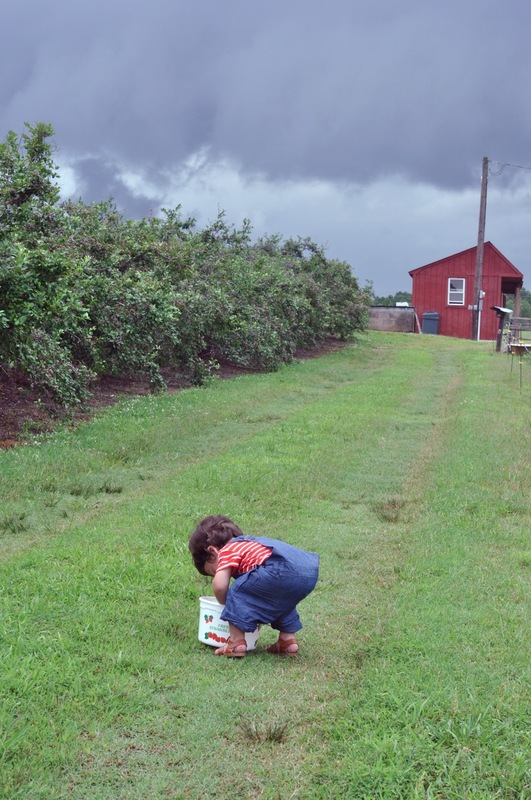 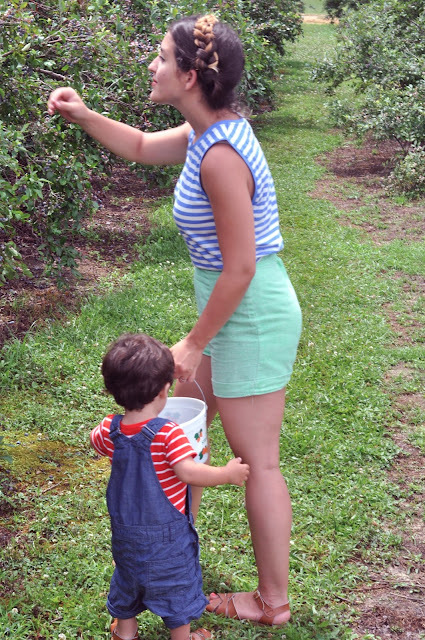 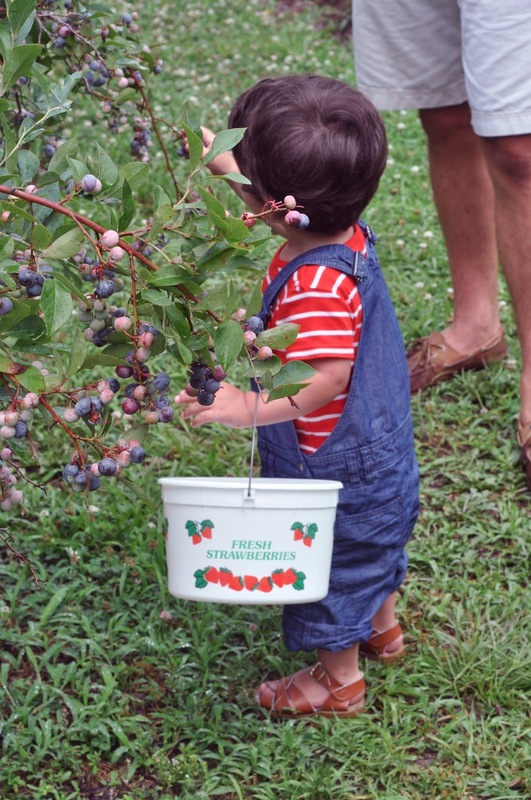 Yesterday we went out to the Virginia countryside to pick berries. 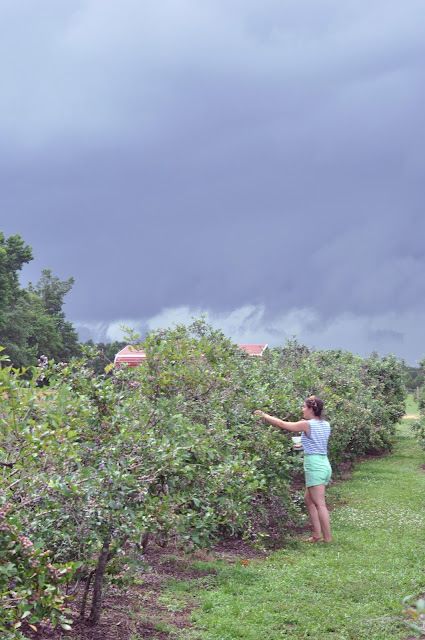 The weather was pretty wild, it went from around 80º and partly cloudy, to the darkest, angry clouds and an inevitable downpour, to 90º and then another downpour in a matter of an hour. 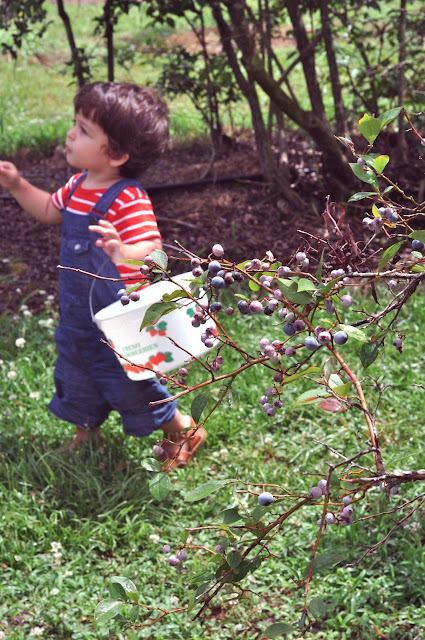 Despite all that, we got our berries and had a blast. 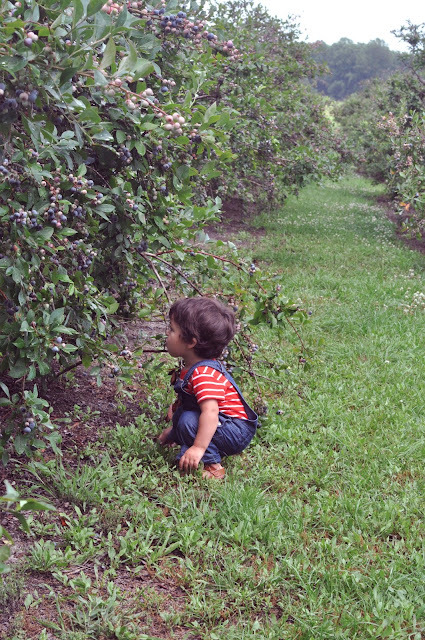 Jude woke up from his nap in the car to this beautiful field of berries and literally did not know what to do with himself. 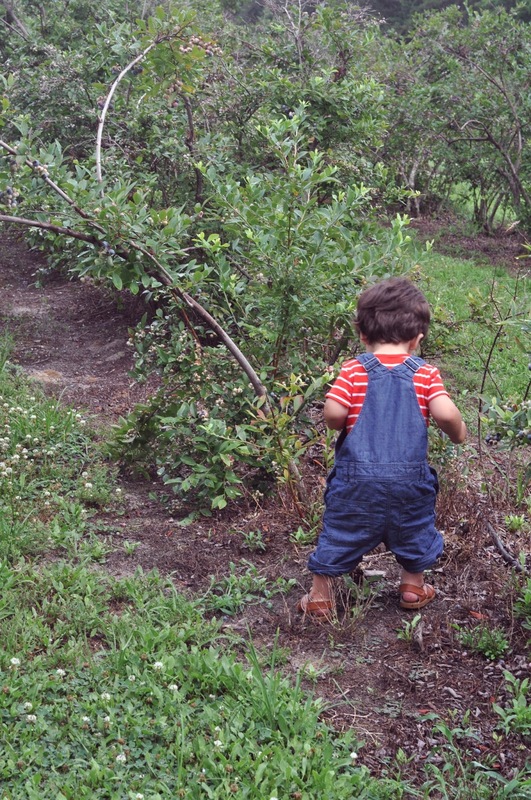 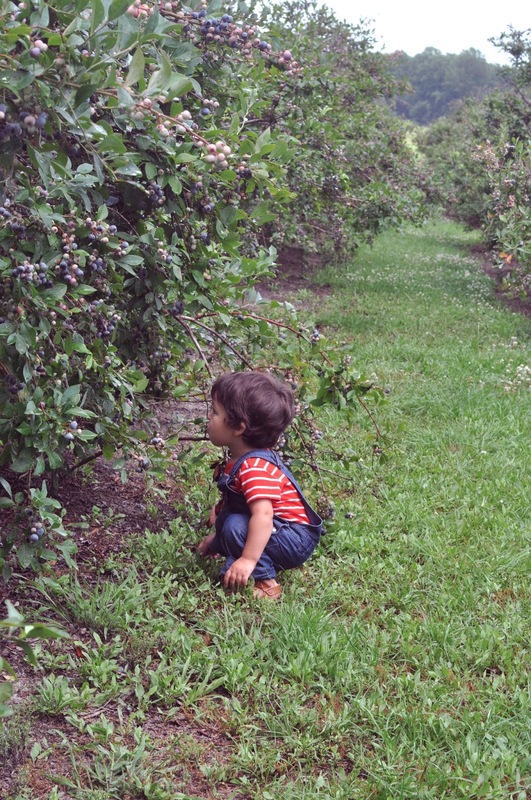 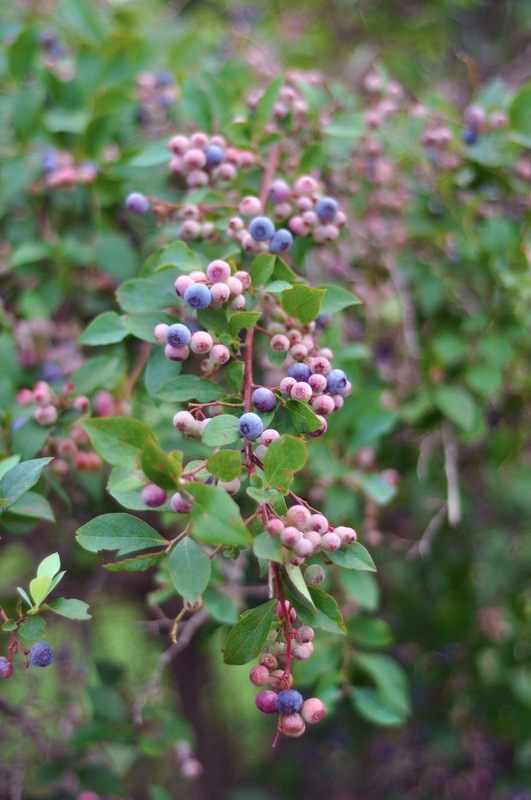 Jude could not believe that the blueberries he adores so much were surrounding him in such a huge quantity on every bush he looked at. He literally was in heaven, bitting them straight off the branch. 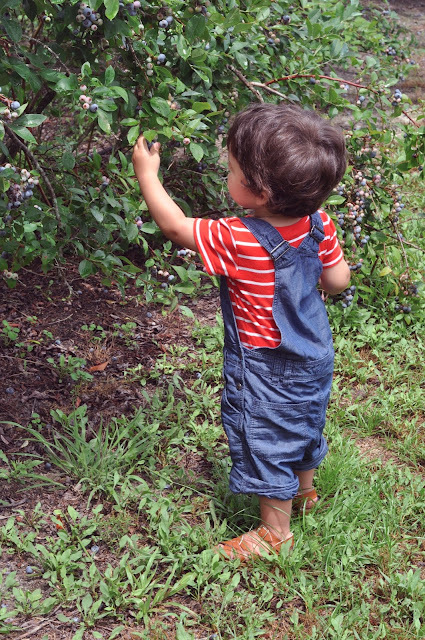 Overall, it was the perfect adventure. 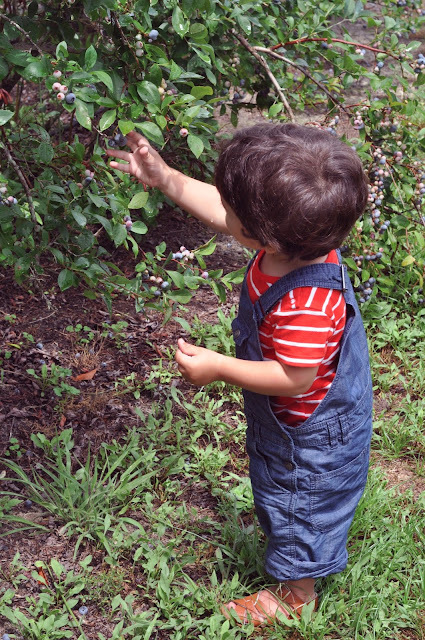 Hope you have a wonderful fourth of July and long weekend. looks like a lovely time! 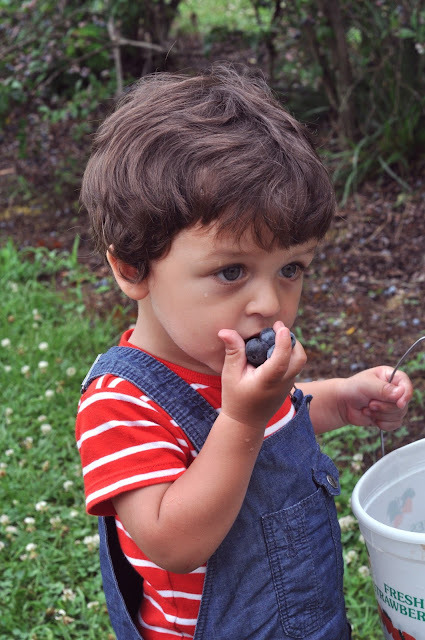 i must put this on my to do!